It definitely was a big Monday for Apple news, and it continues with the release of iPad OS 3.2 GM (Gold Master) build number 7B367. It is the exact OS that is shipping with iPad today. 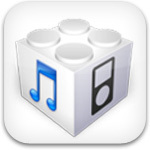 Along with the iPad OS, comes the latest corresponding iPhone 3.2 SDK.